I purchased a premium subscription option that includes the annual print edition. Which print edition will I receive and when will it arrive? Starting with the Winter 2019, Issue #40, each year's winter edition is also being produced as an annual print magazine. Magazines deliver in January. Premium subscriptions that include the annual print edition that are purchased October - December will receive the print edition in January. Subscriptions purchased January - September will receive the current print edition within 2 weeks of subscribing PLUS next year's print edition in January. You may purchase a gift subscription in the store. Upon purchase, you will be emailed a BC coupon code and a link to download our gift card. The gift recipient must then navigate to our store, select the premium subscription option gifted, and checkout using the coupon code. Upon completion, the recipient will have created his or her own premium subscription account. How do I gift a subscription offer that I purchased from a 3rd party? If you purchased, or have been provided a special subscription offer, then you will have been provided a coupon code to be applied in our store. To gift the offer, you must provide your coupon code to the recipient so that the gift recipient may complete check-out with his or her own premium subscription. Some offers have specific gift cards available, and that are provided by the 3rd party seller. If a specific gift card was not provided, then our standard gift card applies and can be downloaded here. Where can I download a gift card? You may download our standard gift card here. If you purchased a special offer from a 3rd party seller, then check to see if an offer specific gift card was provided by the seller. 1. Register an account or login to your existing account to create calendar events. 2. Click "Post My Event" that now appears under the Events Calendar located on the second level navigation on the right side of the home page. How do I edit or delete my existing calendar event? To make changes to your calendar event, login and then visit the page for the specific event. Scroll to the bottom of the page and click the edit tab to make changes or to delete the event. You may only edit or delete events that only you have posted. Is the magazine produced in print? 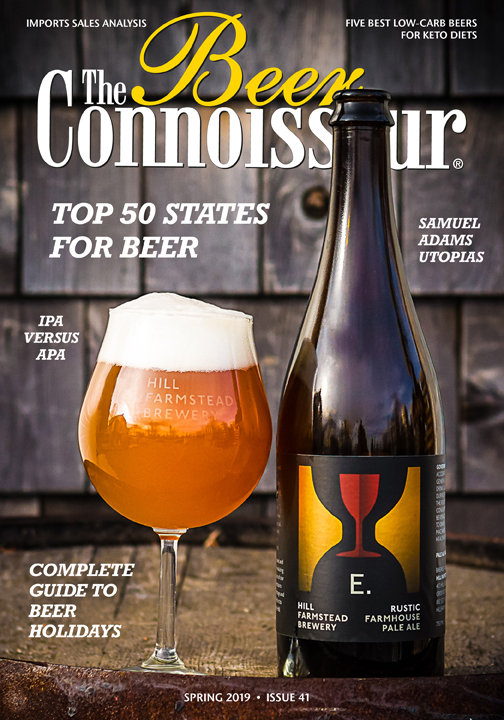 The Beer Connoisseur was discontinued as a bi-monthly print magazine in 2015. However we have introduced a new annual "mega print edition" named The Beer in Review that arrives in early to mid January. This special pint edition acknowledges the best beer and and awards the best breweries of the year. It also provides an insider's look in the most important trends in beer for the new year. This special edition is included in subscription options worldwide in our store. What is a premium web magazine? The premium web magazine is published 6 times per year (bi-monthly), and it contains the same quality editorial that was offered in the former print magazine. The full content is restricted to paying "premium subscribers" who are logged into the site. Full stories are also delivered straight to subscribers inboxes via our "premium edition" editorial eNewsletters 7-days per week. Premium subscribers may manage the days, themes and frequency of which they receive our news, stories and reviews. Login to your account here, and add a new address in your ADDRESS BOOK. Set the new address as the default shipping address. You must submit a customer service ticket below to request an email address change for your account. How do I subscribe or unsubscribe from eNewsletters? Login to your account here, and go to the MY NEWSLETTERS tab in your account. Select the eNewsletters you wish to receive. You may also click "preferences" at the head or foot of any of our eNewsletters to manage your communications preferences. How do I manage premium subscription? Login to your account here, and go to the MY SUBSCRIPTIONS tab in your account. Here you may view the expiration period, renewal period, cancel auto-renew or renew your subscription. Renew a premium subscription by purchasing a new one in the store. How do I cancel auto-renew for my premium subscription? Login to your account here, and go to the MY SUBSCRIPTIONS tab in your account. Click "cancel recurring subscription" in the subscription product. Canceled auto-renew subscriptions will remain premium until your subscription expires. We are open M-F from 10AM to 6PM Eastern Standard Time and are closed on major U.S. holidays. Please allow 24-48 hours for a response. Most cases sooner. Please provide us the email address associated with your account. If you do not have an account, then provide the best email for us to contact you with. If you wish, you may provide a call back number. Please use this area to ask a question or detail the issue you are having.